I often get asked, how did someone who never stepped foot behind the counter of a restaurant end up being a part of starting CoreLife Eatery? The best way to answer this question is to start at the beginning. I spent years in physical therapy as a child after a life-changing injury, so when it came time to decide on a career path, physical therapy was an obvious choice. I grew up loving athletics and the thrill of competition. It was a joy to get up every day and help injured and discouraged people get back to their thrills and activities — from a high school athlete that could play sports again, to helping an elder be able to get out of bed on their own. My life was consumed with walking people through the mental and physical blows that an injury can take on someone’s life. After 25 years and countless success stories, my wife and I began asking God to show us if there was something else we might be used for in this life. At first, we thought we were being led to international missions in India and the Dominican Republic, but a different path became clear after a conversation with two “restaurant-guys” and good friends – Larry Wilson and John Caveny. With a hobby for studying functional medicine, I quickly became intrigued by the possibility of providing a healthy food restaurant that advocates a lifestyle for physical health and wellness. Conversations with these guys showed me that I could continue to use my passion for encouraging and rehabilitating people by offering a healthy, fast-casual restaurant that would allow people to feel good about their food choices – rather than feeling sluggish and unmotivated like most restaurants do. It’s always been a personal desire to eat well because of the results I have seen in my own life when I make healthy food decisions. CoreLife Eatery grew from my partners’ and my desire to find the solution to one simple question: Why is it so difficult to find healthy clean foods that taste great and are accessible every day? With the partnership of my friends, my new passion has become providing a high energy, active lifestyle eatery focused on bringing clean, healthy and great tasting food through CoreLife Eatery. Best of all, it turns out we weren’t the only ones wanting the answer to such a simple question – the positive customer response has been overwhelming and has driven our sales and name recognition beyond our expectations. Since opening day our approach to serving great tasting, healthy foods has resonated with our guests in the Syracuse community, and we can’t wait to see what it will do for other new locations in the upcoming year. 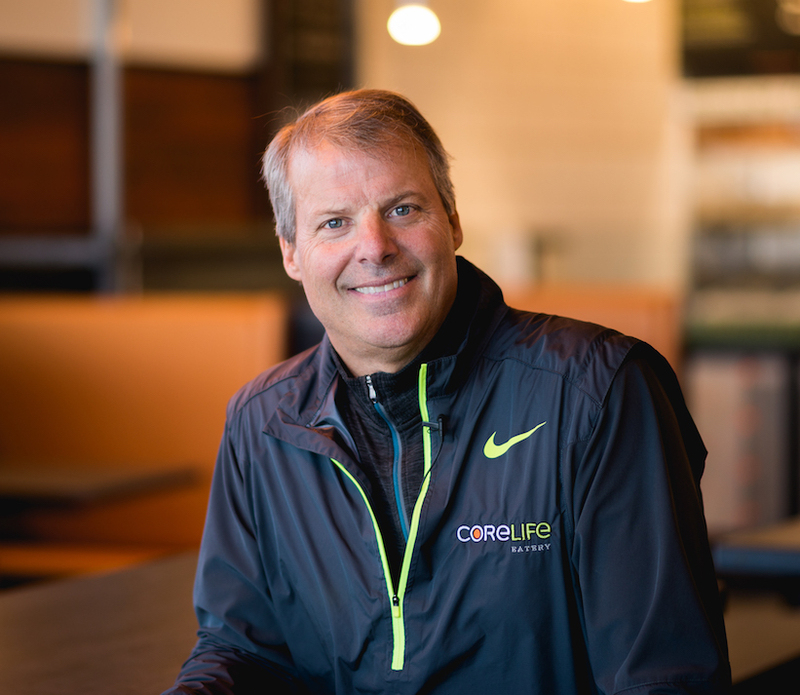 Stay tuned for more posts from Todd on his journey to managing CoreLife Eatery and promoting an active, healthy lifestyle throughout the Northeast!